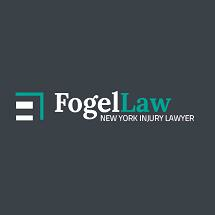 At the Law Offices of Nussin S. Fogel, we have practiced personal injury in the state of New York for over two decades. Our personal injury law firm has the experience and legal knowledge to ensure that every option is exhausted in the pursuit of maximum compensation following an accident. Our office staff will know you by name and be prepared to answer your questions whenever you need to speak with us. We will take the time to make sure you fully understand every aspect of your case. At a boutique law firm like the Law Offices of Nussin S. Fogel, clients become well acquainted with the lawyer and staff. Our clients' cases never get lost in the shuffle. Every case is important in large part because of the personal relationships that we cultivate. Our working relationship can begin with your very first phone call. Contact us to schedule a consultation. We are confident that you will receive the level of personal attention that you expect and deserve if you become a client of Nussin S. Fogel. You can be confident that we are going to keep you up-to-date and involved. Attorney Nussin S. Fogel has practiced law in New Jersey and New York since 1987 and founded our firm to advocate for those who need experienced legal representation. Our firm is entirely devoted to personal injury litigation.